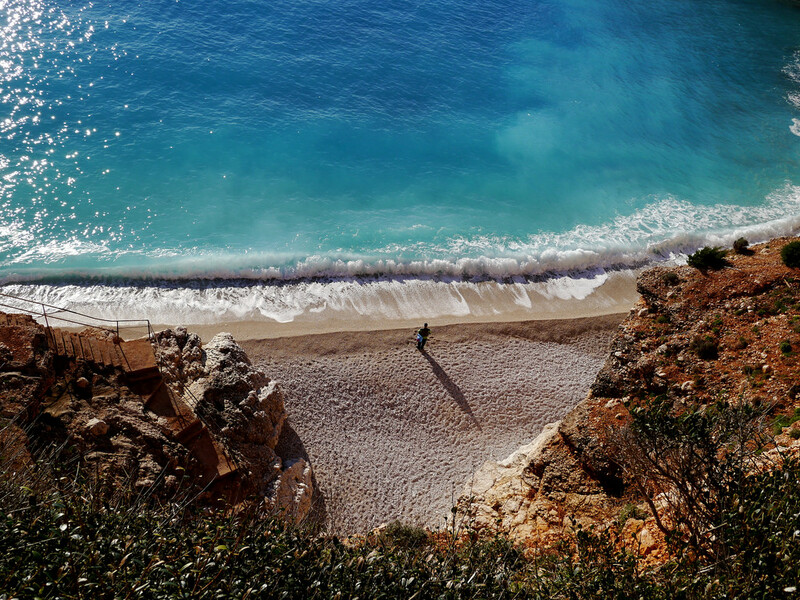 Myrtos beach is like a symbol of Greece. 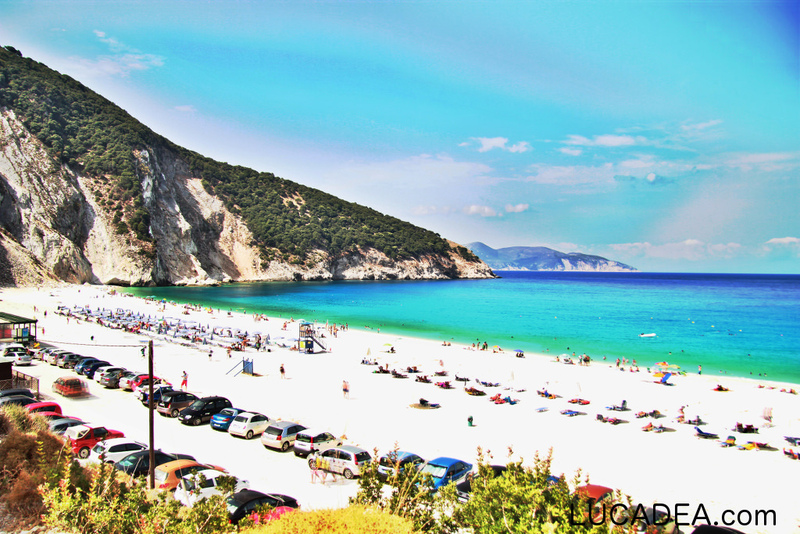 When you talk about Greece, you have to talk about its wonderful beaches and when you talk about best beaches in Greece, Myrtos Beach comes first. Located in the north-west of Kefalonia Island, it is a surprisingly stunning beach that in fact lies between two mountains. The views of the surrounding areas both from the mountain top and away from the sea are simply treats to see. The steep mountain cliffs, stunning blue lagoon and plenty of sun make it one of the most scenic beaches in the whole world. While you can climb the mountains and jump from the cliffs into the sea, the only available water-sport is swimming. As there is almost no shed in the beach, if you want to stay in the beach for quite a long period, you can rent sunbeds and umbrellas. 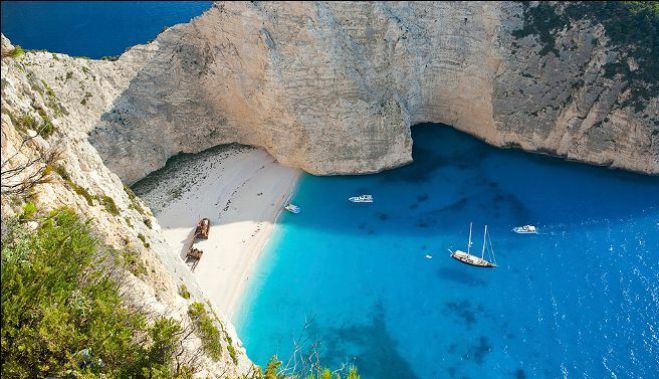 Navagio beach is quite as popular as Myrtos beach. 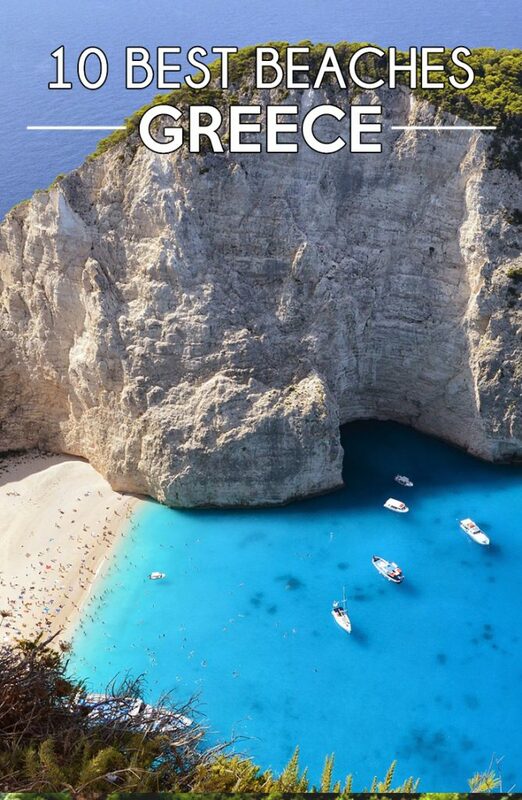 This stunning and secluded beach is known for its dramatic vertical cliffs, deep blue waters, coarse white sand, and the opportunities for snorkeling around the beach make it one of the finest and best beaches in Greece. It is quite a remote beach and is accessible only by boat. You will see decaying shipwreck in the middle of the beach that is why it is sometimes called the shipwreck beach. One important aspect about this beach you need to know is there are no amenities in the beach. 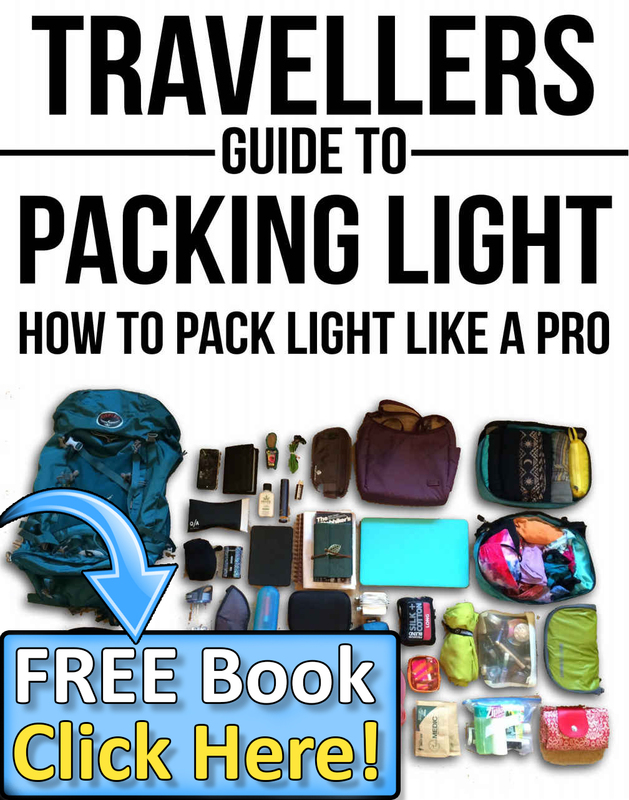 So, you have to bring your own food and drinking water, beach tent, umbrella or canopy. It is a perfect snorkeling site. But there is no arrangement for any water-sports in the beach. Located in the small island of Elafonisos, Simos beach is often hailed by the locals as the best in the country for its wonderful combination of sun dunes, unique flora and spectacular turquoise waters. Its lively party atmosphere and clam waters draw huge crowds every day. If you are on a family vacation in Greece, you should enjoy spending time with your family on this beach as your children can swim in its shallow, clear water. During the evening, you will find people chilling out, drinking, and dancing with live music. All these things make it one of the never-miss and best beaches in Greece. 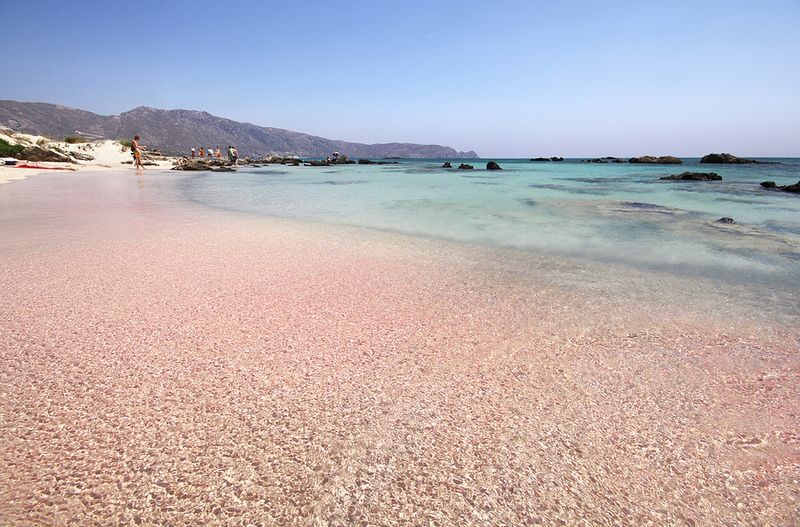 Situated on the Elafonsi Island in the southwest Crete, the beach of Elafonisi is another dazzling beach known for its exotic white and pink sands. It is a very safe beach and perfect place to swim for people of all ages. You can rent umbrellas on the beach. If you have enough time in hand, you can explore some nearby attractions like the Agia Irini lighthouse or Chrysoskalitissa monastery. 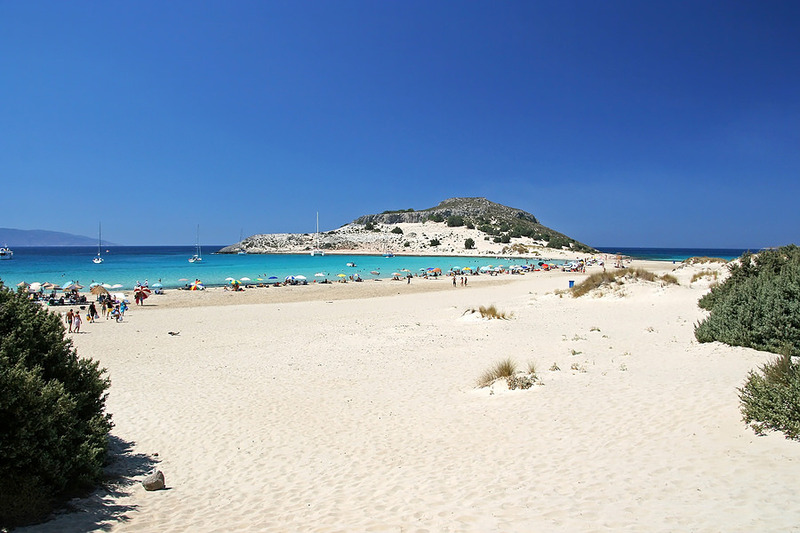 Very often, you will find the Porto Katsiki a ranked as one of the most popular and best beaches in entire Europe. The long expanse of the beach underneath a grassy cliff along with its turquoise blue water makes it immensely popular among both local and international tourists. While sunbeds and umbrellas are available on the beach, tourists are required to bring in their sporting supplies as needed. 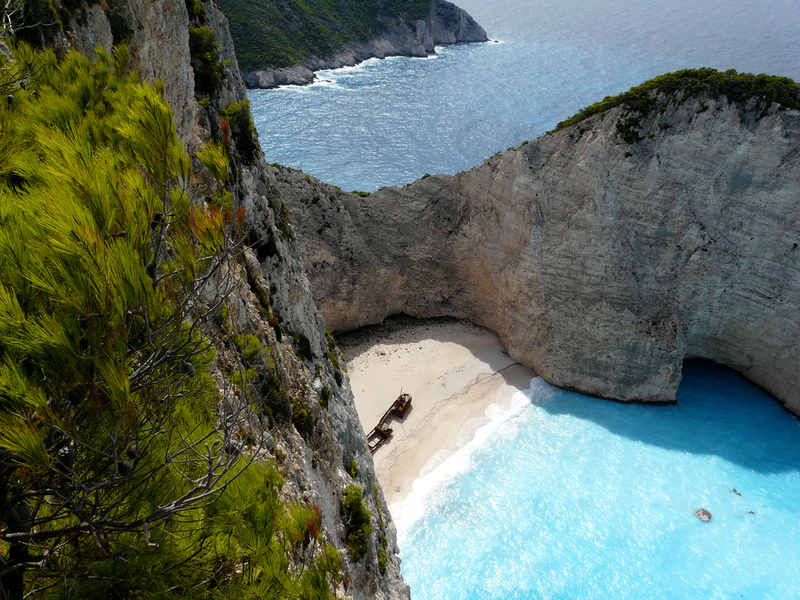 1 Comment on "10 Best Beaches in Greece"
Loved the secluded Navagio with the high cliffs and the whote pink sand of Elafonisi Beach. Greece on my mind now !